Genetic modification is here to stay, and not just for economic reasons. Many arguments against it do not withstand logical and intellectual scrutiny. But some do, and the GM community would be wise to take these at heart. This is the first article in a series on controversies on genetic modification. The articles were published on 25 October, 8 November and 6 December 2015 and 16 February 2016. 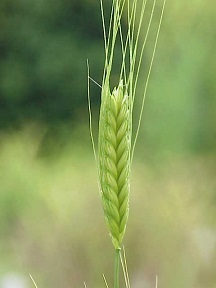 Einkorn wheat was one of the first wheat varieties to be bred from wild grasses. Mankind changed their DNA in this process. Mankind as it is now would not have been possible without human intervention in the genome of plants and animals throughout history. The ancestors of our wheat and our cows are a long cry from their present manifestations. Mankind has done this by genetic modification. Through breeding, led by intuition and experimentation, during 99.99% of human history, and only just recently through the direct intervention in the plants’ and animals’ genes. Therefore, one of the main arguments against GM does not withstand intellectual scrutiny: that through it we ‘play God’. Or perhaps we should say that we have ‘played God’ since times immemorial, by enhancing the productivity of our crops and our productive livestock. Surely, we cannot condemn the speeding up of a process that used to be lengthy and cumbersome, and took us to many unproductive dead ends? We just understand better now what we used to do by intuition and experience, and put to good use these new insights. Genetic modification is better than traditional breeding systems in a number of ways. Firstly, it is much more precise. As we increasingly learn to know how DNA determines the properties of living organisms, we can change these properties with much greater precision. This will do away with many failures and prolonged enrichment programs. Secondly, it is much faster. Genetic modification has acquired an unprecedented pace by application of automation and the new CRISPR technology. The combined effect of precision and speed is that changing the properties of a species through GM technology is much cheaper than conventional methods now, and prices will keep on falling for some time to come. Therefore, genetic modification is not just unobjectionable, it is also here to stay. 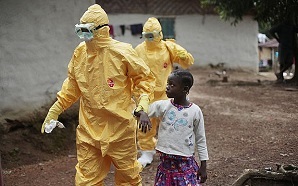 In the fight against Ebola, the public did not mind the medicines being produced through genetically modificed organisms. Photo: Daily Telegraph. There are several forms of genetic modification. Public appreciation of them varies greatly. ‘Red’ biotechnology, the development of new medicines using genetically modified microorganisms, is much applauded generally. For instance, no questions at all were asked on the search of new medicines for Ebola, although all proposed pathways involved genetic modification; there seemed to be just one criterion: will the new drug work? Biotechnological start-ups in this field are sold for many millions or even billions, no questions asked. Less well known, but in the same technological field, is white or industrial biotechnology. This area of genetic modification is also concerned with microorganisms, but here the technology is used for industrial purposes: the production of polymers, nutraceuticals, food and feed. Because producers seem to be uncertain about the public reaction to their use of genetically modified organisms, they tend to hush up their ways. Therefore, there is uncertainty around the acceptance of one of the most important fields of application of genetic modification. No doubt, the area of most controversies is green biotechnology: the genetic modification of agricultural crops. Controversies boil down to two classes: those associated with genetic modification as such, and those associated with the way in which it is applied by the major players in this field, particularly Monsanto. In the first class of objections, our argument here is essentially the same as that outlined above: genetic modification tries to accomplish just the same as mankind has tried in ages during our ‘civilisation process’, namely better productivity of our food crops. And more productive cattle etc., and more beautiful flowers in our gardens. There is no difference in goals between breeding and genetic modification, just in effectiveness. And there is a great need for more improvements in a growing world population. We need crops that withstand draught and salinity. And crops that produce their own nitrogen requirements from the air: nitrogen fertiliser produces a lot of environmental pollution, both in its production and its use on the land. It could be inhumane to deny mankind the opportunity to produce such new varieties through the cumbersome pathway of classical breeding. Plants that produce their own nitrogen requirements might even not be feasible without genetic modification. And yet, green biotechnology can be applied in quite a number of ways. Some raise more controversies than others. For good reasons, at times. We will look into that in a subsequent column. WHY don’t ALL companies advertise or notate in big letters on their products that it is a GM or BIO product. You hide it in small letters among a lot of other words hoping people won’t take the time to read it. Are you ashamed? You should be! Consumers have a right to know what they are buying. We shouldn’t have to read it to find out. I dont feel the nutritional value is better for us and you give us NO choice if we want to buy it or not. It is in everything! I don’t feel good about feeding my children and their developing bodies these products. Fresh food or not it does not matter to you. What are the long term side effects for prolonged use if these products? No one has posted any statistics on it that I have seen. And how many tests would be falsified anyway? The government proves to be untrustworthy. There are so many more sick people in this world with food allergies, etc. How do you explain that? I have grown more and more sick in the stomach to all foods I eat. I have been tested for numerous things including cancer and ALL tests come back normal. No doctor can explain why I am sick. I try to eat organic as much as possible and use essential oils. I don’t put anything in my body that isn’t natural. How can you justify to me that I do not have a choice in the foods that I buy when I can not buy anything that has not been modified in any way? You have modified seeds so we can’t even plant food ourselves without your garbage in it. What will you do when this process no longer works and you have nothing left to modify? How will this world eat and survive then? By then You would have destroyed all the good things God has given us. The end!